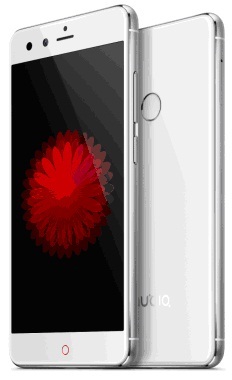 Home Unlabelled Nubia Z11 Mini "The Art-of Photography with Innovative Technology"
Nubia Z11 Mini "The Art-of Photography with Innovative Technology"
Nubia Z11 Mini Smartphone has a 5-Inch 1080p Full HD Display resolution with 441 PPI pixel density & 95% NTSC high color saturation plus 2.5D arc glass screen on top of it. This handset comes with rounded shape and soft edges that gives the Nubia Z11 mini a polished look and a great feel in hands. It has a vibrant display providing exquisite image quality. Its smooth exterior includes Irresistible Looks and Feel with an easy single hand operation. 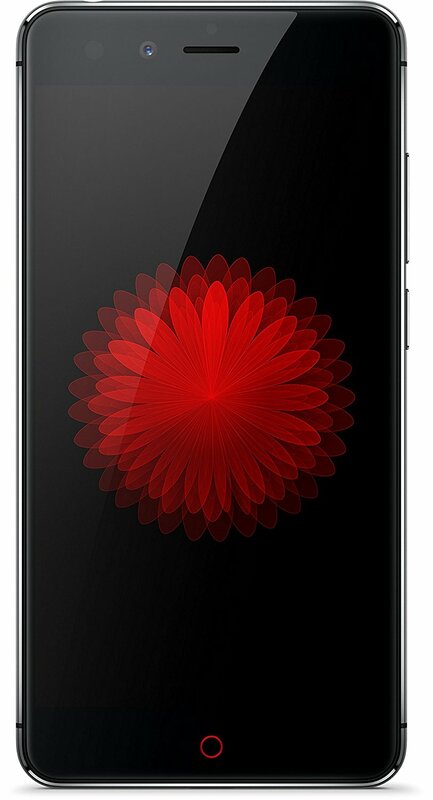 The Z11 mini smarphone has a 64 bit Octa Core (1.5 GHz 4core ARM Cortex A 53 + 1.2 GHz 4core ARM Cortex A 53) High-Performance Quality Processor and it also has Adreno 405 graphic processor which has 3 GB RAM support. Although its having a light and handy frame but its power shouldn’t be underestimated. It features the 28nm high-efficiency, low-power Qualcomm Snapdragon 617 octa core processor, one of the most reliable, high-performance processors available. That ensures very fast and smooth multitasking like switching between browsing the internet, watching videos, playing games etc. The Z11 mini has a Sony IMX298 powered 16.0 Megapixel Color Maintenance Operating System (CMOS) Image sensor and an extra-wide F2.0 aperture supported Primary Camera for outstanding photos, even in low-light conditions. Combined with a 6P camera motor drive and improved high-speed (PDAF) Phase-Detection Auto-Focus, which enables to capture life’s most beautiful moments any time, any place. 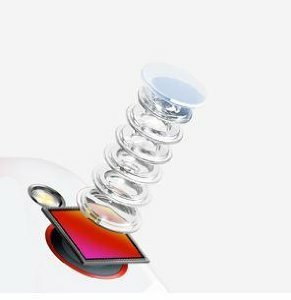 This Smartphone has exclusive separate focus and metering, independent WB, time-lapse photographing, electronic aperture, multi-exposure, light painting, star trail and slow shutter that allows to shoot photos easily. This gives you Fall in Love feeling with smartphone photography, as you can enjoy the DSLR - level photographing experience with its Camera. Nubia integrates DTI, LTM and other advanced technologies that helps you to take stunning photographs, even in low-light and backlit conditions. This Nubia Z11 Mini smartphone camera ensures the highest color accuracy and adjusts the dark parts of photos to make sure the details are still crisp and clear. For Better Selfies Nubia Z11 Mini equipped the 8.0 Megapixel five-element lens, ƒ/2.4 aperture, 80 degree wide angle, IMX-179 sensor Front-Facing Fill Light featured camera with exclusive skin retouching effects and eight different kinds of filters and fill-light to ensure that even in low-light conditions, we can still take beautiful selfies of memorable moments of your life. On Its Rear-Panel it has a Fast and Convenient Finferprint Sensor Security. 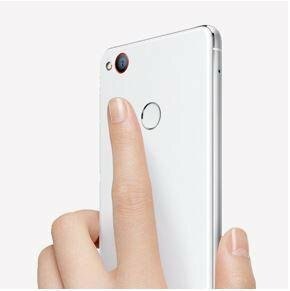 With a fingerprint sensor located on the back of the phone, the Z11 mini is easier than ever to operate with one hand. Fingerprint authentication has a multiple uses as it can now be used not only to unlock the Z11 mini but also to take photos, screenshots and more. Long press the fingerprint area to quickly enter super snap and take screenshots quickly and conveniently, such as long screenshot, free screenshot and screen recording. This handset comes with a one hand comfort. The Z11 Mini offers it a gorgeous look with its smooth and sleek light, thin and compact core design. 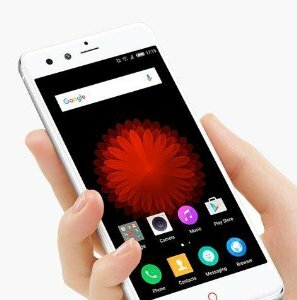 Nubia Z11 mini’s 32GB of eMMC 5.1 high-speed, high-capacity flash memory provide a huge increase to the phone’s read/write speed and capacity to load games. This handset has a 3GB of RAM. It works with a lightening speed, whether you’re reading blogs, surfing the web or doing online shopping. To preserve & store even more photos and videos of life’s most unforgettable moments, Z11 mini also has a Memory slot to expand its internal storage up to 200GB, making it easier. This Smartphone also has a latest HD Voice Calling VoLTE feature. This VoLTE (Voice over LTE) technology enables voice calls with higher sound quality and fewer delays than conventional voice calls, which means that users can reduce the amount of time, spent waiting to connect. VoLTE also supports video calls, making it possible to communicate face-to-face, no matter how far away you are from the people you call but this service requires support from local service providers. It has features like Dual Sim, Email, Type C charging, FM Radio, GPS, Music Player, Video Player, Clone Camera, Multiple Login Option for Applications, Convenient Screenshot Tool that Records Mobile Activities, Screenshots of Scrolling Windows, a Selection of Shapes etc. Sensors included Accelerometer Sensor, Ambient Light Sensor, Digital Compass Sensor, Distance Sensor & Gyroscope Sensor. For network & connectivity it supports Bluetooth with 4.1 wireless technology, GPS, Wi-Fi 802.11 b/g/n/ac, 4G, GPS/ A-GPS, GLONASS, FDD LTE: B1/3/5/7/8/20, TDD LTE: B40, UMTS: 2100/1900/850/900, GSM: 1900/1800/850/900, CDMA: 800. And it packs a 2800mAh Li-ion Polymer non-removable battery. Dimensions & Weight of the Device 141.4mm x 70mm x 8mm and it weighs 138 grams. This handset is available in two color variants : 1.Black & 2.White at introductory price of Rs.12,999/- and it will be exclusively available on www.amazon.in. Clone Camera, multiple login option for applications, convenient screenshot tool: records mobile activities, screenshots of scrolling windows, a selection of shapes.